I truly believe in this phrase’s overarching meaning. What you give off, whether positive or negative, will come back your way eventually. If you give, then you shall receive, but if you are not in it for the right reasons, then the favors likely will not be returned. It’s the basic principle of karma. I’m constantly giving out SBI to users, and I feel as though one day this offer will be reciprocated. I recently held a contest 4 users participated in, but I have not been able to award them with their SBI share quite yet. Don’t worry @newageinv @olivia08 @crypticat @schach, I have not forgotten about you all. 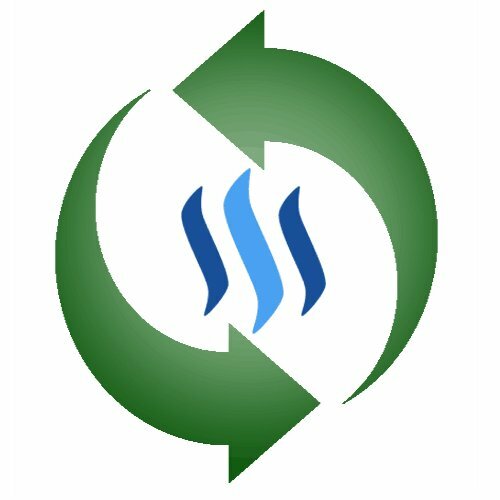 Since STEEM has been on a recent tear lately, I’m sure we’ve all realized the reward distribution has shifted from STEEM and SP to SP and SBD. This being said, I must wait until I accumulate either enough SBD to convert to STEEM, or purchase some STEEM using LTC, ETH, or another one of my assets. Patience is also a virtue, especially in the crypto markets. I wanted to inform you all of this delay, and state that you can all rest assured. I will get you each your SBI share when time (and money) permits. I will also inform each of you when this happens. I would say in the next week or so, you will each have the share you have rightfully earned. Sharing is caring, let’s all help one another on this universal basic income journey!! No problem buddy! I have also seen that my Steem has been limited and since I haven’t made my monthly purchase (sadly have been waiting for price pullback), it is a sad wallet these days! What it does make me realize is the amount of great SBI that was given out at these prizes and the potential it has as the price continues to improve! It's no surprise a fan of yoga believes in Karma. Fortunately because Steem is a blockchain Karma definetely exists and is verifiable on Steemit. Curation is the most important thing, comments are defenitely appreciated and running contests are great too. We can easily forget all our friends and subcommunities but if you ever post in #caturday or #catsofsteemit (appropriately) you have a higher chance of getting my support. Conrad, like you I'm a daily Steemian and have purchased Steem. I have never powered down or even taken steem off this account. I support many witnesses and plenty of communities. Maybe it's time for another cute cat contest 🐱, I could be extra nice and open it up to dogs. Hey conradsuperb, everything at the right time. Once intent is put out to the universe it happens ---- as you said. Really like your thinking.